During your Belgrade tour, the Kalemegdan fortress is one of the sites that should not be missed for many reasons. Kalemegdan fortress represents the original city of Belgrade and its history goes back to 4th century BC. 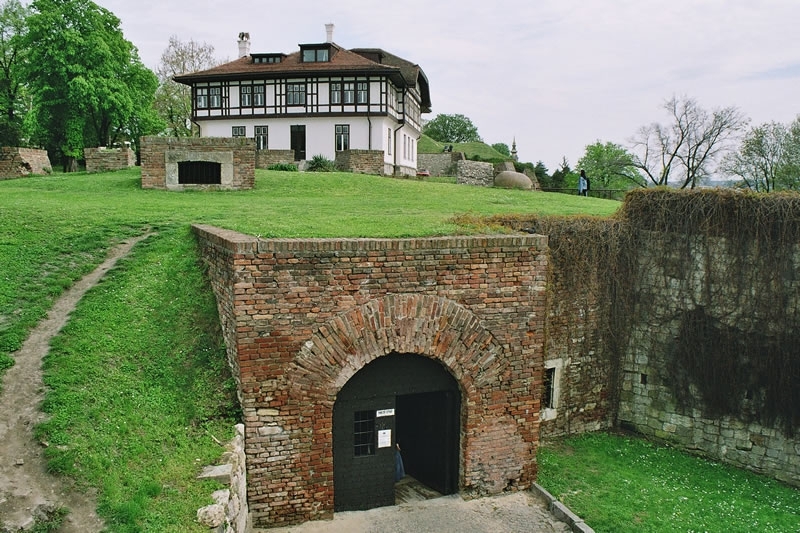 There are many interesting sites, from different time periods that you can visit when strolling through Kalemegdan. There is one of the sites with a long cruel history and an eerie atmosphere, located on the fortress ground. So here we would like to tell you a story about the Roman Well. When the Alfred Hitchcock the cinematic genius, visited Belgrade in 1964, he was particularly pleased, as he explained to the hosts and curious journalists, with his visit to the Roman Well at Kalemegdan. The famous director said at the time that such an environment has always been a real treat for him because of the eerie atmosphere like the one he creates in his moves. He was right, because this place is in many ways made ​​out of the unusual cruel history. It was the site where the movie “Love affair, or the case of the missing switchboard operator” by famous director Dusan Makavejev was filmed. Anyone who wants to feel the strange and cold winds that flow from the capital’s underground, should certainly go down the 212 steps to the water level, a few dozen meters underground. The staircase comprises of two spiral hallways that are wrapped around the well down to the water level. One case of the stairs is used for the decent to the water level, and the other set of the stairs is used for going up to the ground level. Today, there is the large metal door at the entrance, and behind the door there is the corridor that is about twenty meters long, which leads to the well shaft, that is surrounded with the security metal fence. 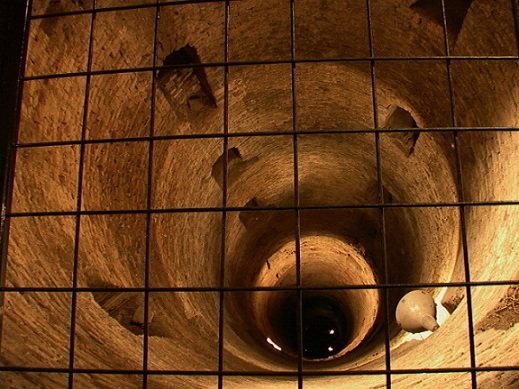 The well's total depth is 60.15 meters with a diameter of 3.40 meters. Thus, to a depth of 53.15 meters, where is tapered to a diameter of about two meters. Officially, the construction of the well was completed during the Austrian rule of Belgrade, between 1717 and 1739, when they significantly changed the appearance of the former Turkish settlement on this location. The well was completed in 1731, and according to some interpretations, it was named “Rimsk bunar” (Roman well) because of the Austrian ambition to be the successor of the Roman Empire. But many scientists disagree with the fact that the Austrians have built the well. On the site of today's Kalemegdan was a Roman fortress “Kastrum” 2000 years ago, where water was conducted to the fortress from the distant water sources. Since the Romans were experienced strategists and skilled builders, it was logical that they will try to dig a well, so the soldiers would be equipped with water in case of siege when the enemy could cut the water supply. According to this version, they started digging on the site of today’s well, but despite great effort, failed to find water. The hard limestone rock was the obstacle to extending the well by digging tunnels towards the river. Many historians mention the well served as a grain tank for some time, and for later as a dungeon. The other fact that supports the other version is that the roman well was mentioned in many written documents in the 14th century Serbia, during the reign of Despot Stefan Lazaravic. Even after him, at the second half of the 15th century there is a written document about the most brutal executions that Belgrade remembers that happened in this place. In 1494, Belgrade was the most important Hungarian, but also the Christian stronghold against the Turks, so the story goes that in the war with the Turks where the Austro-Hungarians barely managed to defend themselves and during one of the battles they have captured 37 Turkish prisoners. They were punished in the cruelest of ways. They were lowered with the ropes to the bottom of the well that was dry at the time. Then they were left to starve until they completely lost their minds when the guards threw them knife’s to kill each other. They’ve started to eat each other’s corpses until the last one of them died in agony. But there is a peculiar ending to this we can say “horror” story. The new form of life had developed in the crystal clear waters of the well. It is an amphipod (niphargus minor sket), a miniature creature of about 5 millimeters that exists in Serbia only in this well. The Roman Well is more some kind of a cistern then the well, because the water is collected from the surface of the upper plateau and it interflows through the porous soil and accumulates in the well. Roman Well looks exactly the same like in 1723, it was never properly restored and brought to safety codes, it is not safe. It was closed public for the last couple of decades.